A state memorial service was held for former B.C. Premier Dave Barrett in Victoria on Saturday (March 3, 2018), and a celebration of life is being held today in Vancouver. Barrett died Feb. 2, 2018 at the age of 87. This week, Premier John Horgan delivered a tribute in the B.C. Legislature. Hon. J. Horgan: I rise today to pay tribute in this House to Dave Barrett, the 26th Premier of British Columbia, member of the Legislature in 1960 through ’75 for what was then known as the riding of Dewdney, which included Port Coquitlam, Coquitlam and everything in between. 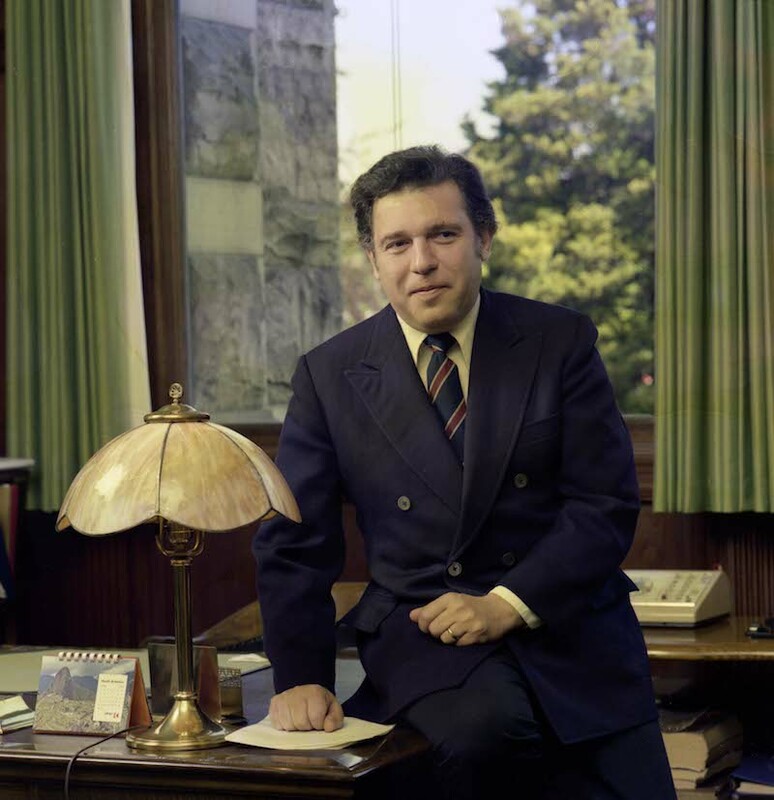 He was then returned to this place as the member for Vancouver East in 1976 through to 1984. I had the good fortune of meeting Dave Barrett as a colleague, I would say with some humility, when he was a member of the House of Commons between 1988 and 1993, representing the great constituency of Esquimalt–Juan de Fuca. As I reflect on the passing of Dave Barrett, the weekend ahead and having the Barrett family with us here today — a memorial service will be held at the University of Victoria on Saturday and, I would suggest and characterize, a more raucous affair in Vancouver at the Croatian Centre on Sunday — I think it’s appropriate that we pay tribute as members of this Legislature to the enormous contribution that Dave Barrett made to life in British Columbia and, most importantly, life in this place. I think it’s appropriate, as we do this before question period, that we remind ourselves that there was no question period until Dave Barrett introduced it. I think, as I look up at the Hansard table here at the Legislature, it’s appropriate that we acknowledge that as well, because were it not for Dave Barrett, perhaps we wouldn’t have every utterance, every word, every piece of wisdom delivered on this floor recorded for all time, as it is today — again, one of the contributions of Dave Barrett. Although we have now decamped the opposition offices and left them behind, when Dave Barrett became Premier, there were no opposition offices. There were no opposition budgets. So all of us, whether we’re on this side of the House or on that side of the House, owe a debt of gratitude to Dave Barrett. I know the Clerks and the Speaker will acknowledge, as well, that the decorum in this place has been somewhat changed since Dave departed. I know that we have more robust Sergeants-at-Arms, and no one has been carried out in my time here. But Dave Barrett, rotund as he was, did get carried out. So as I look at the Sergeant-at-Arms staff, be of good cheer that you didn’t have to pick up Dave Barrett and cart him out of this place. His contribution was immense, not just here but right across the province. We will all be aware of the enormous contributions — the 387 extraordinary bills that were put through in the time that we’re still grappling with drafting legislation here in the 21st century. Cutting and pasting together bills, bringing them forward and passing them with a pace and a speed that would just not be done today — that was the transformation that Dave Barrett brought to our legislative processes. I’ll touch upon some of those profound contributions in a minute. But I want to, instead, tell you a little bit about how Dave Barrett affected my life, even though I didn’t know it. Now, some of you may be aware that I had a tempestuous time as a high school student, and I owe a debt of gratitude to Dave Barrett for abolishing corporal punishment. I didn’t know at the time that Dave Barrett was doing me a service, but in fact, he was. Later on, after graduating from high school — at great surprise to most of my teachers — I went on to work in a place called Ocean Falls. 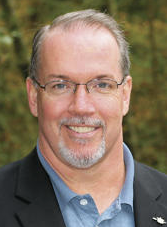 I wouldn’t have been able to go to Ocean Falls and make enough money to go on to post-secondary education if Dave Barrett and his government, the first NDP government, had not intervened when Crown Zellerbach said: “We’re not making enough money here. We’re out.” Dave Barrett and the NDP government bought the town lock, stock and barrel, and that provided me an opportunity to experience life in a rural community, to experience life in a mill, to experience life in a place that would not have existed were it not for Dave Barrett. Now, the government was eventually defeated, as all governments are, but the new government took some time before they wound up the affairs of Ocean Falls. Even to this day, coming on to 40 years later, I still run into the diaspora of Ocean Falls, and they all have fond memories of their time there, largely because they were given a second life because of Dave Barrett. Dave Barrett gave those people a second life because of his passion for the underdog. He cared deeply about this province and the people that reside here. There was not a better advocate for the downtrodden than Dave Barrett. There was not a more feisty and passionate speaker in this Legislature before or since. He was a profound political leader who affected the lives of everyone who came upon him. You could not walk into a room that Dave Barrett was in and not know he was there. The jacket over the shoulder, the sleeves rolled up, the foot on the desk — I won’t emulate that here today, but it was part and parcel of Dave Barrett’s presentation. Later on, in 1983, I’d just graduated from university with my winnings from time in Oceans Falls. I was on the lawn with about 30,000 other people here. It was the Solidarity movement at that time. The opposition led by Dave Barrett was railing against the government for a restraint program. I have to say that the restraint program was trying to cap wages at 6 percent, and that was an insurrection in the streets. So we have certainly transformed as a society, and the issues of today are not the issues of yesterday. But 30,000 people showed up on the Legislature lawns. I went, on a lark, with a friend who said: “Let’s go down and see what’s going on.” I had no particular political persuasion at that time, but in all of the chanting and the signs and the carnival atmosphere of a protest on the lawns, which we have not seen since, I saw this man come out onto the steps. He was a shorter man and jiggled a little bit when he talked. In fact, he jiggled a lot when he got going. I know Shirley saw more jiggle than anyone else over the years. But when Dave started to go, the crowd started to respond. They responded with love — genuine love — for a man who was standing, fighting the good fight, always putting people ahead of himself and always doing what he could to make life better for people. What struck me on that day, Members, as I watched Dave on the stairs of the Legislature do his thing, was the profound power he had over all of the people that were assembled there that day. It was not just the presentation of the words. It was the power of them and the focus of them, and that was always to make life better for people. I think we can all take a great lesson from Dave’s time here on this great earth. He worked day after day after day — a fearless defender of the rights of citizens. That’s why he created a B.C. Human Rights Commission. He felt, back in the 1970s, that we needed to ensure that we had agricultural land to feed ourselves well into the future. We stand here, in 2018, all of us in every corner of this House, proudly defending the agricultural land reserve, which was mocked and ridiculed at the time. But Dave Barrett stood here and said: “Damn you all. It’s the right thing to do, and we’re going to do it.” There’s not a person in this place or across this province that would disagree with that today. Public auto insurance has had a bit of a rocky road recently. I know that…. I’m just going to let that pass. For a moment, I might take a drink and just think about that for a minute — let that hang in the air. Public auto insurance. The vision of the Barrett government at that time was to ensure that there was a public vehicle to ensure that the travelling public was protected — not just those who were behind the wheel but those that might be impacted by those that were behind the wheel. Ensuring that everyone had mandatory automobile insurance protected people and saved lives. It was a forward-looking policy at the time. It remains, despite successive changes in government, in place — more or less for the betterment of British Columbia. I’m hopeful that we can continue to build on that legacy and make public auto insurance not just a legacy for the Barrett government but a legacy for all British Columbians. I want to acknowledge also Lynn Klein in the gallery today. Lynn has been coming to this place — as all of you know, certainly almost as long as I’ve been a member of this place — to observe the proceedings. A former paramedic, a former Ambulance Service employee, Lynn comes here because he believes profoundly in what we do. Dave Barrett established the Ambulance Service in British Columbia, and Lynn Klein reminds me of that frequently. I’m very, very much honoured — and I know the Barrett family are — that there will be an honour guard of the B.C. Ambulance Service at the memorial at UVic on Saturday. It’s the contributions — as you start going through the list, it gets longer and longer and longer. I did touch on corporal punishment — critically important to me at that time. But pay toilets in British Columbia were abolished by Dave Barrett. That’s not a small thing. If you’ve travelled in Europe and you’re hopping on one foot and don’t have a pound sterling or a euro in your pocket, it can oftentimes be embarrassing. That will not happen in British Columbia because of Dave Barrett. The list is as long as your arm. I have very many examples of them here: a labour code, the minimum wage — the list is long — French in schools. Again, the love that was made between the Parti Québécois and Dave Barrett was one of the stories he told me when he would hold court in Ottawa with young staffers. The member for Vancouver-Kingsway and I would gather around with other youngsters at that time — I would argue we were youngsters at that time — and Dave would regale us with the stories of how he and his intrepid band of comrades would fight the good fight on behalf of the people of British Columbia. Starting in this place, starting on this side of the House — of course, he went back to 1960 — the first NDP government, the Allende of the North, socialism had broken out in Canada, and Dave Barrett was the face of that. The advantage that Dave Barrett had over everyone else was: he was a happy warrior. He had a smile on his face all the time. He could be hitting you upside the back of the head, and you wouldn’t have known it because he was smiling at you so passionately and so vigorously. He was a kind man. He was an affable man. He was someone you couldn’t help but like. I was reading, and members will have in their in-boxes, the Orders of the Day, which is a great publication put together by former members of this place. Jim Hume — who was certainly a longtime coverer of this place, sitting in the gallery — writes a very fond piece on Dave in this edition of Orders of the Day. He says at the outset: “We were never friends.” Yet when Jim Hume’s son was in hospital after a rugby injury, Dave immediately sent a handwritten note to Jim Hume’s son. Before Jim could leave the Legislature and get there to be at his bedside, Dave had already got a note to him, talking about rugby and the misfortunes of that game. That was the kind of guy he was. Even not being a friend, Jim Hume was able to find a good thing to say. That would be put alongside a story I heard with my friend from Vancouver-Kingsway about the time that Dave bumped into Jim Hume in the hallway and said: “Are you still writing for the paper?” Of course, as members of the gallery will know, there’s no greater insult than to say to someone who writes every day: “Are you still writing in the paper?” Nonetheless, Dave did it with a smile on his face, and Jim Hume to this day looks back fondly on Dave’s time in this place, because it was an extraordinary time. As an historian, I look back on the ’72-75 period. Obviously, as a partisan and a social democrat, I look on it with pride. But I believe all British Columbians look back at that time — the battles of Bennett and Barrett…. I know many members in this place cut their teeth or became aware of politics when these two titans were going at each other, election after election after election. Bill Bennett has passed away. Dave Barrett has passed away. But the contribution that those two men made to this place is immeasurable. The contribution Dave Barrett made to my movement and to my colleagues on this side of the House — we can never find the thanks to offer to his family for the sacrifices that they made over those many, many years. Dave was, first and foremost, a family man. Wherever he went, the family was right there. The Volvo was packed up, the bags were tied onto the top, and off they went on their merry way. Dave Barrett was a political leader. He had a vision of the future that would make people’s lives better. He did not govern based on polls or what was popular a the time. He governed in ways to make BC a better place. He led the people of BC to see new ways of doing things. BC and Canada and the world needs more leaders like Dave Barrett.